Argus Le products have some of the most thrilling juicers in the market, which can deliver highly efficient and reliable performances. Some of these are better than others but still may work for different purposes and delicious results. If you are looking for an Argus Le slow juicer and may not get your hand on the right one – this list may help you out finding what you need. Come further and learn why Argus Le juicers may be your best choice. 5 Conclusion – Which one to Choose? 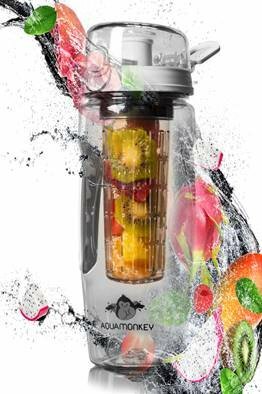 The AL-B600 comes with everything to provide a very delicious juice entirely stress-free. You won’t have to worry about accommodating ingredients inside or cleaning the device. Apart from that, it reduces oxidation and gets more nutrition value from each fruit or vegetable you use. Working at 65 RPM, the device is not the fastest, yet it destroys pieces more efficiently, extracting more juice and leaving a thicker texture. What’s even better, it comes with a grinder, a filter, and a brush so you can prepare whatever you want without fearing clogging or a stuck machine. Another thing that most people tend to forget is the quality of its construction. Made of entirely BPA-free plastic, it is entirely safe to use and very durable. And of course, it is intended to provide more convenient storage ability, due to its compact design & removable parts. It is easily one of the best when it comes to masticating hard ingredients. Yet, soft ingredients will still do well, but won’t produce as much juice as others. If you want a juicer that works better with hard ingredients, then this one will work like a gem. Is there a way to make fruit liquid without all the hassle of assembling and cleaning? Well, actually there is – the AL-B400 from Argus Le is the perfect cold-press juicer if that’s what you want. Boasting an Auger design, this juicer is capable of cutting, squeezing, and getting more juice faster from every ingredient. It is all done in a very efficient process, and then it is filtered effectively. With 65 RPM motor, the juicer is not the fastest out there, but surely it is one of the strongest. This slow RPM means it will squeeze each fruit more effectively, taking much more juice from each one and avoiding oxidation in the process. What’s more, it lets the device to heat up less and keep more vitamins as well. The whole build of the juicer is also very reliable, with BPA-free plastic. What’s better, the motor makes very low noise which means it does not bother when using. And of course, it can last a lifetime if you use it correctly. Yet, due to trying to be faster at 65 RPM, it may clog from time to time if you are not careful. But this happens rarely, so you may never experience such a problem with it. One of the most exciting things a juicer can have is not having to spend more than 5 minutes cleaning it. The AL-B5000 from Argus Le is precisely that juicer. Thanks to a disassembling design, you won’t have to spend more than two minutes cleaning it. The device is also very efficient, delivering massive amounts of juice faster without leaving any nutrition value behind. You’ll have a higher quality juice with better taste and more vitamins to enjoy. It also leaves a softer touch in the juice, preventing large pieces to remain un-squeezed. All of this happens due to the slow-speed 47 RPM juicing process. The slower on the list, AL-B5000 helps to juice up ingredients more effectively, even the hardest ones. It also reduces heating on the device and keeps it working for longer if making more juice if what you want. The motor works spectacularly as well. Being one of the quietest at only 50 dB, you won’t be disturbed when it is working. What makes it even more reliable is the Delay Start System, which allows the device to stop when it is not used correctly. Add the overheat protection, and you get a long-lasting product as well. Apart from all this, the juicer works really slow. If you expect to get a lot of juice fast, this may not be your best choice. But overall, it works well, especially for how much quality it delivers to the juice. When you have three devices of the same brand, that are so similar to these ones, making a definite choice can be a headache. Luckily, here we have some of the differences they have and how one can be better than the other. Read up to find out! When you compare the juice quality, we can start by saying that the AL-B5000 may offer the thickest among the three. However, it may include too much pulp in the juice eventually. If you don’t want such thickness or paste in the extract, the AL-B4000 would be a better choice. And of course, the AL-B6000 does not offer a thick juice, but it is not as soft as the B4000 either. The cleaning process in the three devices is almost the same in each one. But of course, having the chance to disassemble adds more convenience to the process – and here is where the AL-B5000 wins. While the other two may also disassemble, they don’t do it as effectively as the B5000. The B6000 and the B4000 both work at 65 RPM, which means they work slowly but efficiently enough to keep more nutrients in the juice. But the B5000, on the other hand, works even slower, yet delivers an even thicker and more nutritious juice at the end, with more pulp. While the B6000 and the B4000 offer between 55 and 60 dB of sound, the B5000 offers only 50dB. This is due to being slower than the other two. However, the difference is not easy to perceive so you may not feel a difference in this factor. As you already know, all of these three devices are pretty useful and easy-to-use. Yet, they all work differently so you may not get the same results with each. If you are someone who prefers a thick and more nutritious juice – get the Brushed Silver AL-B5000. Otherwise, the AL-B4000 is also good but older model and Al-B6000 that work faster may leave a softer juice but still nutritious enough for your needs. 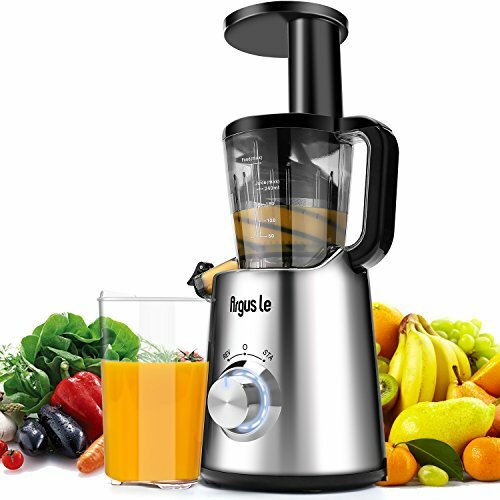 In case none of these devices is of your liking, then go for the Tribest SW-2000 or the Omega VRT-350 – excellent choices for slow-masticating juicing devices.